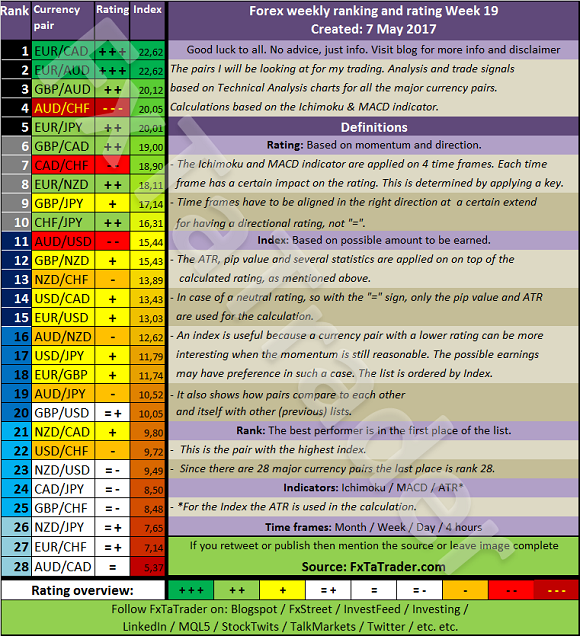 The Top 10 of the Ranking and Rating list for the coming week shows the following stronger currencies being well represented for going long: the EUR(4X) followed by the CHF(3X) with the GBP(3X). 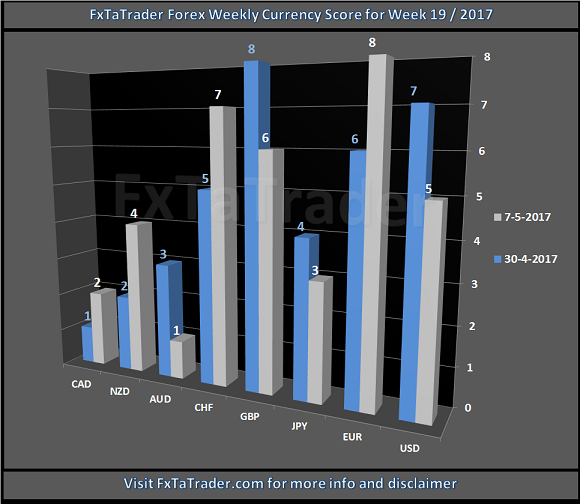 The weaker currencies are the AUD(3X) with the CAD(3X) and JPY(3X). Strong: USD, JPY, AUD. The preferred range is from 6 to 8. Neutral: CHF, GBP. The preferred range is from 4 to 5. Weak: EUR, NZD, CAD. The preferred range is from 1 to 3.